With the Haslauer Stonebath® guests experience elemental forces, which occur deep-down in the earth’s core, in an awe-inspiring fashion. 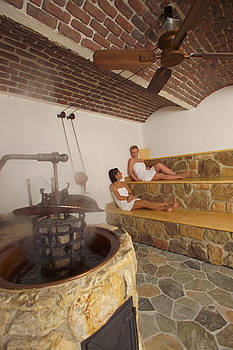 Mineral stones are heated in the oven. 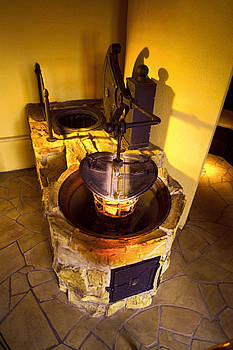 Then the basket containing the hot stones is dipped into a basin filled with cold water. 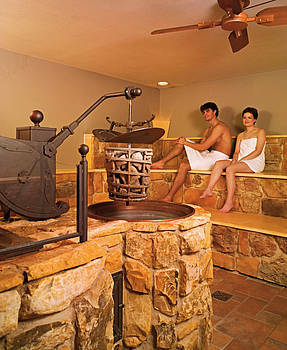 The sizzling stones set free all their valuable contents: minerals are released and dispersed as aerosols within the room. This has a great effect on inhalation. 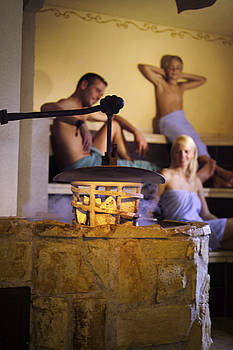 This extraordinary “Steam bath experience” will be greatly appreciated by your guests. An increase in humidity and room temperature can be achieved through the repeated lifting and lowering of the basket. Slowly, the guests become acclimatized to the rising temperatures and humidity. This leads to a special kind of well-being that is also gentle on the cardiosystem. The mild hyperthermia is intensified through targeted heat in the seating area. 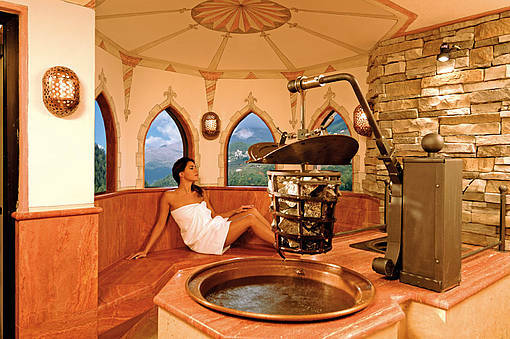 If a steam bath offers your guests well-being, in combination with elemental “forces”, then it is, without a doubt, the elemental Haslauer Stonebath®. Well-being through steam, in combination with elemental “activity” – only available with the Original Haslauer Stonebath®. by a gentle increase in room temperature and humidity. by an electrically-controlled ceiling ventilation system.